Fans can now take a selfie with football superstar Cristiano Ronaldo wherever and whenever they please, and help kids at the same time. Today, the master of selfies has launched his CR7Selfie: Fans with a Cause app, in which fans can take a selfie with Ronaldo in one of several different outfits and poses – in a tux, holding the European Golden Boot, singing karaoke, to name a few – then share it with their friends, family, followers and other CR7 fans on various social media platforms. Available globally on Apple App and Google Play stores, the app, developed by 7Windows Consulting, will cost €1,99 to download, with a portion of worldwide proceeds of every download going to Save the Children. In the app, fans can select from among 68 photos of Ronaldo in different outfits and poses, and scroll through 39 filters to apply to their selfies. New photos of Ronaldo will be made available at select times throughout the year through in-app purchases for 99 Euro cents each. Save the Children also will benefit from a portion of worldwide proceeds of every in-app purchase. Cristiano Ronaldo was named a Global Artist Ambassador for Save the Children in January 2013. 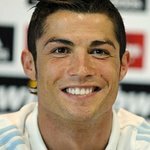 With over 230 million followers on social media, the world-renowned football player regularly uses his platforms to shine a much-needed spotlight on the most pressing needs of children around the globe and to engage his fans to do more to help children in need, both in their own communities and all over the world. To help children, supporters can download the app and smile, shoot and share with Ronaldo by visiting CR7Selfie.com, and posting and tagging their photos to @Cristiano and @SaveTheChildren on Facebook, Google Plus, Instagram, Twitter and Weibo.